For starters, with the new set of commission rates, affiliate partners only need to have more than five (5) completed transactions to increase their earnings from 40 to 45%. This is a huge improvement from the old structure, where affiliates need to have at least 50 completed transactions to get the 45% commission rate. Getting the highest rate of 65% is also way easier with the new commission structure—from the requirement of 1,000 or more completed transactions, it is now down to just 51. The requirements of the other commission rates have also been greatly lessened. 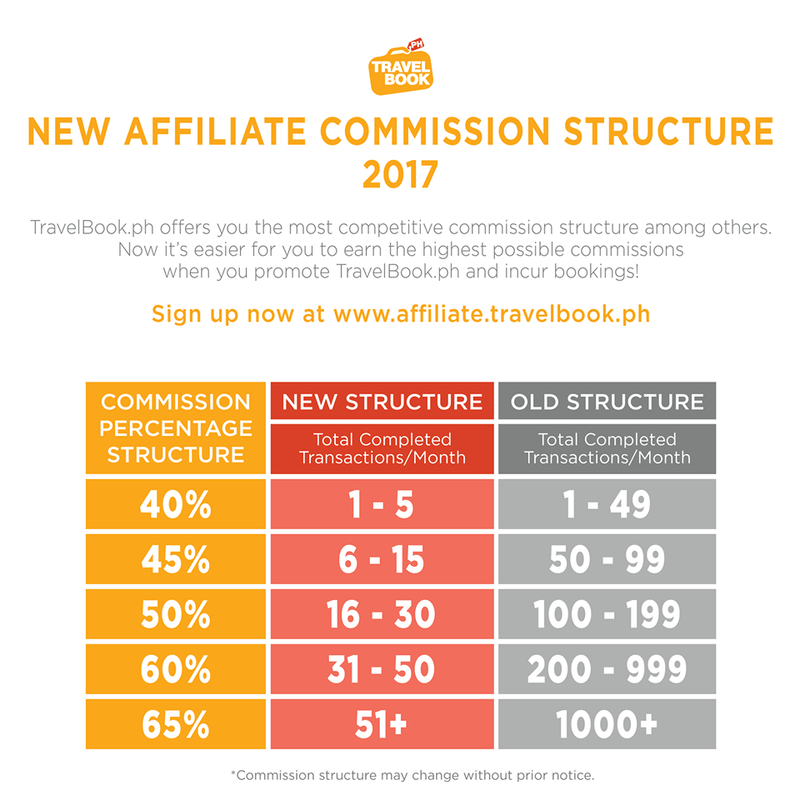 This new commission structure from TravelBook.ph also offers better rates compared to other affiliate programs. Some hotel booking websites offer a minimum of just 25 to 35% commission rates (compared to 40% from TravelBook.ph) and a maximum of just 40 to 60% (compared to 65% from TravelBook.ph). 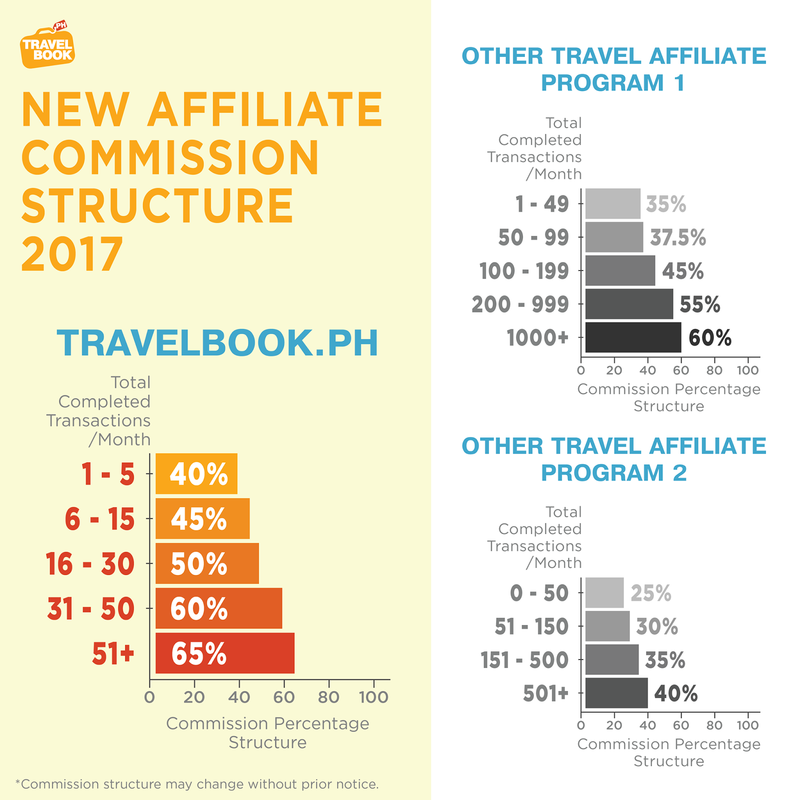 In addition, the requirements are more difficult to achieve: affiliates need to have 500 to more than 1,000 completed transactions to reach the highest commission rate (compared to just 51 from TravelBook.ph). Sign up now to be an affiliate partner by visiting http://affiliate.travelbook.ph. Aside from enjoying the best commission rates, you will also have exclusive perks such as free out of town trips, special promos, and trainings from digital marketing professionals!